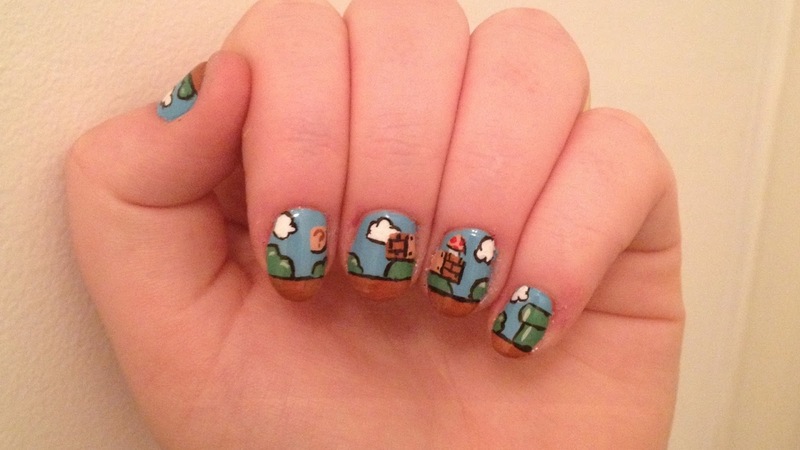 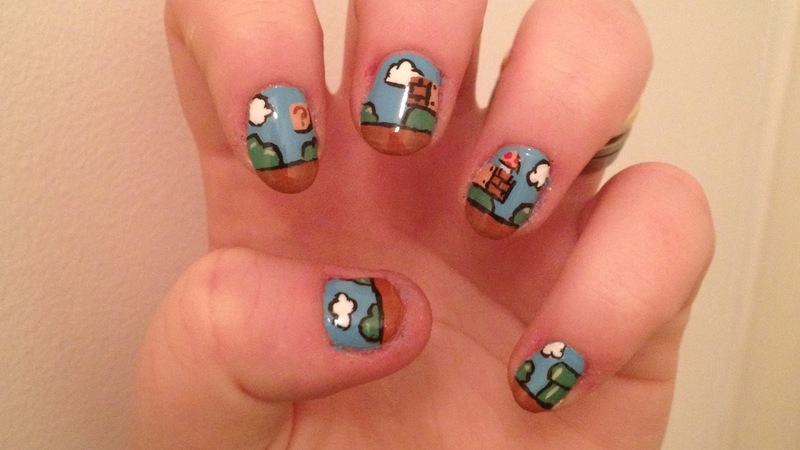 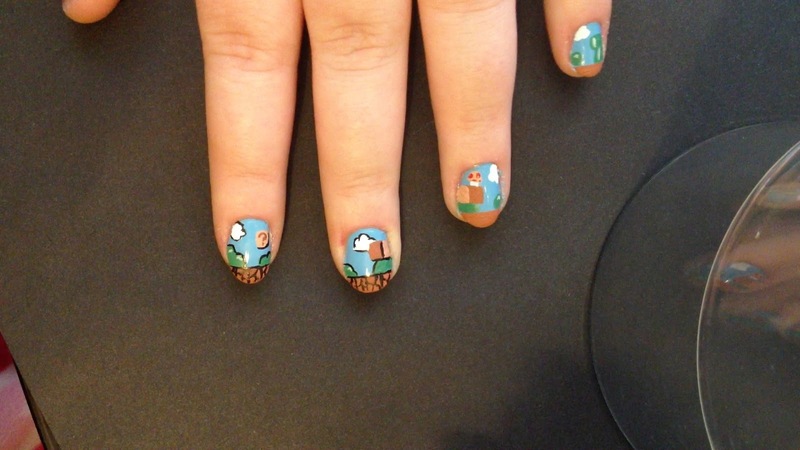 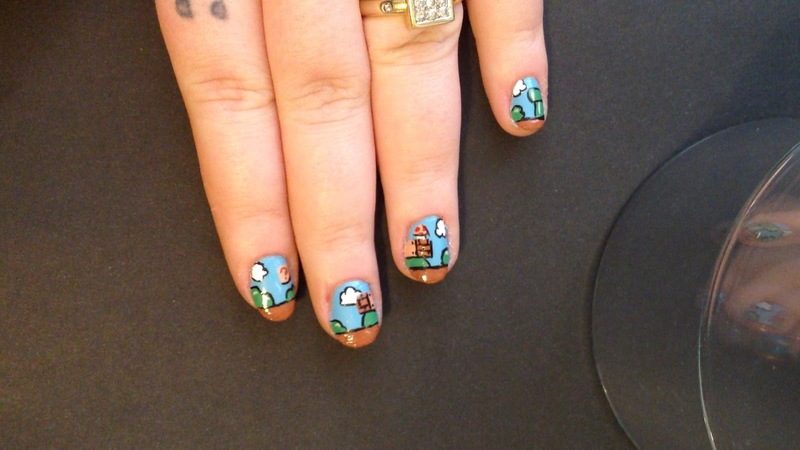 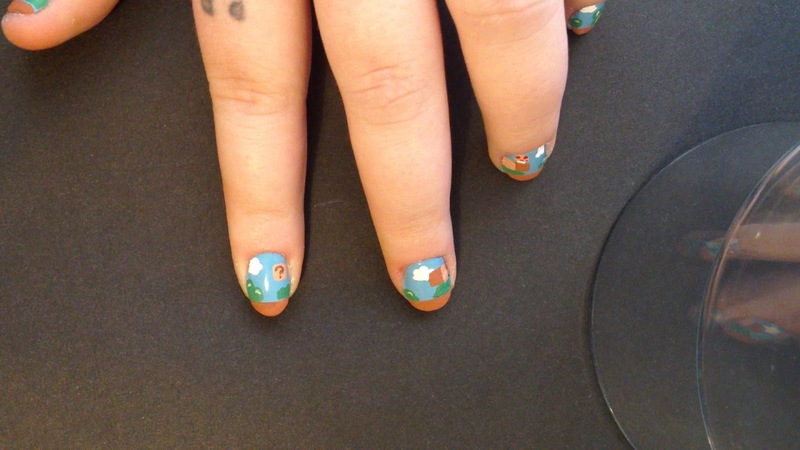 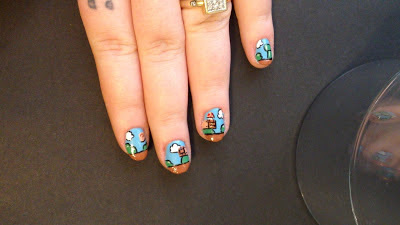 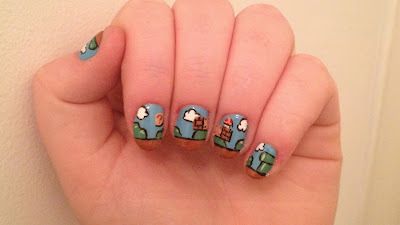 Nail art based on the video game Super Mario. 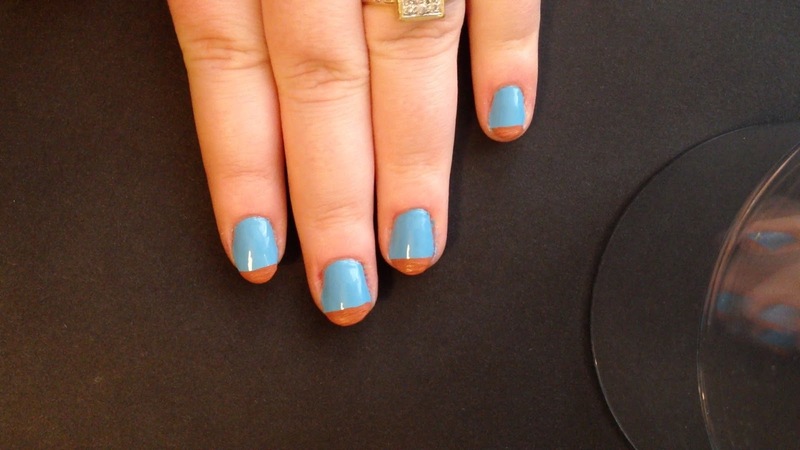 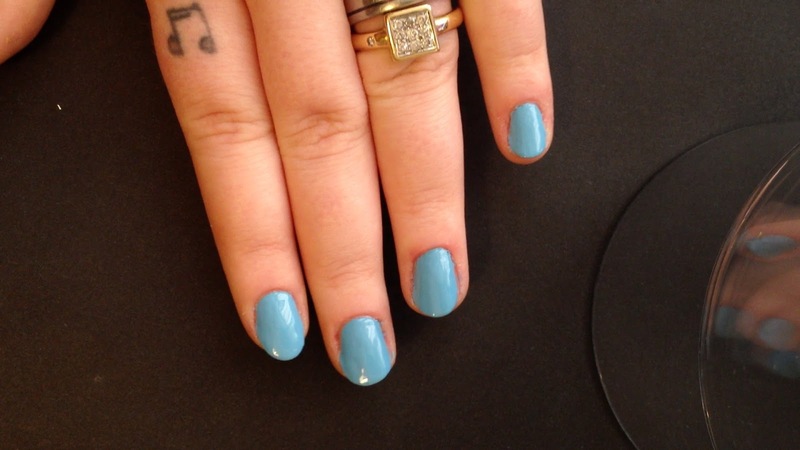 After applying a base coat - paint your nails a light blue. Then using dark brown arcylic paint (or brown polish) - paint a thick line across the tips of your nails. 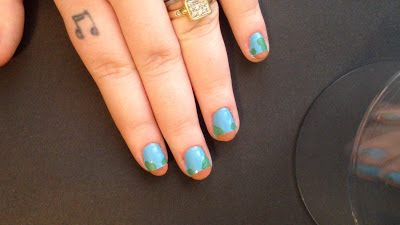 Using green - paint on randomly placed bushes across all fingers, as well as the green tube-thing on your pinky finger. 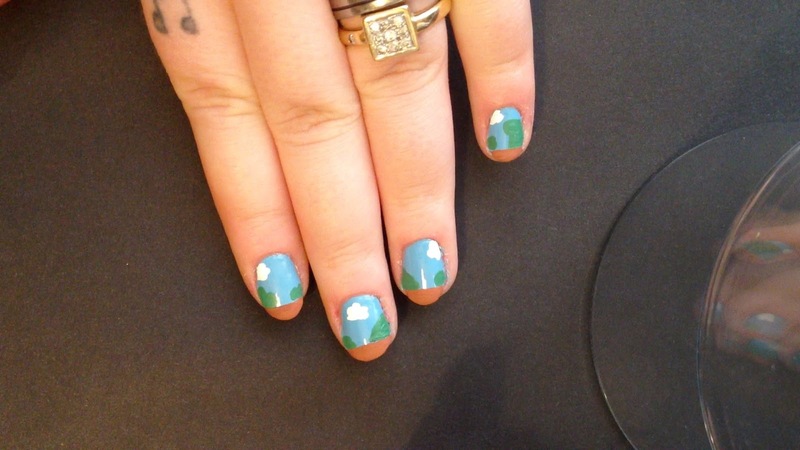 Using white - paint randomly placed cloud shapes across your nails. Using dark brown - paint a rectangle going across your middle and ring fingers. 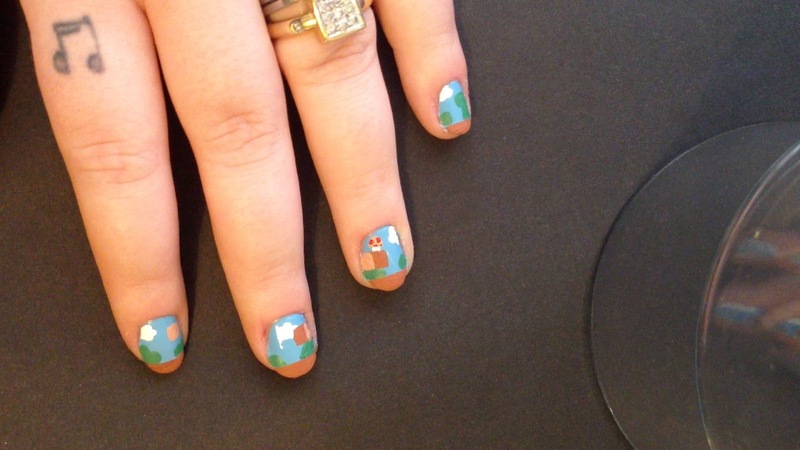 Then using light brown - paint a square on your index finger, and a square in the middle of the rectangle. 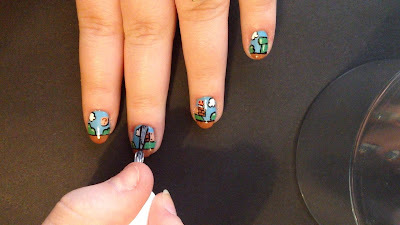 Using white (stem), light brown (top) and red (dots) - paint a mushroom with red spots. Using dark brown - paint a small '?' 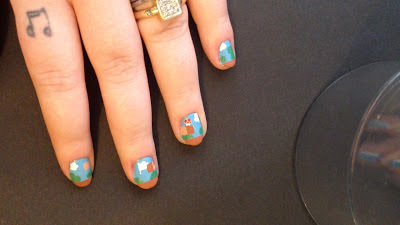 in the box on your index finger. 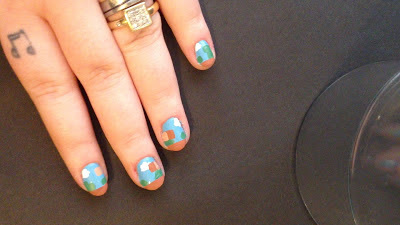 Using black - outline and add small detailing.